One of Gov. Kevin Stitt’s budget priorities, which he outlined in Monday’s State of the State address, is a $1,200 raise for all Oklahoma teachers. This is in addition to the $6,100 average pay increase teachers received last year and would bring Oklahoma’s pay in line with surrounding states’. He also called on lawmakers to implement a bonus recruitment program to encourage new teachers to stay in the state as a way to address the teacher shortage. Not mentioned was any additional formula funding to help schools reduce class sizes, and some education advocates took notice. 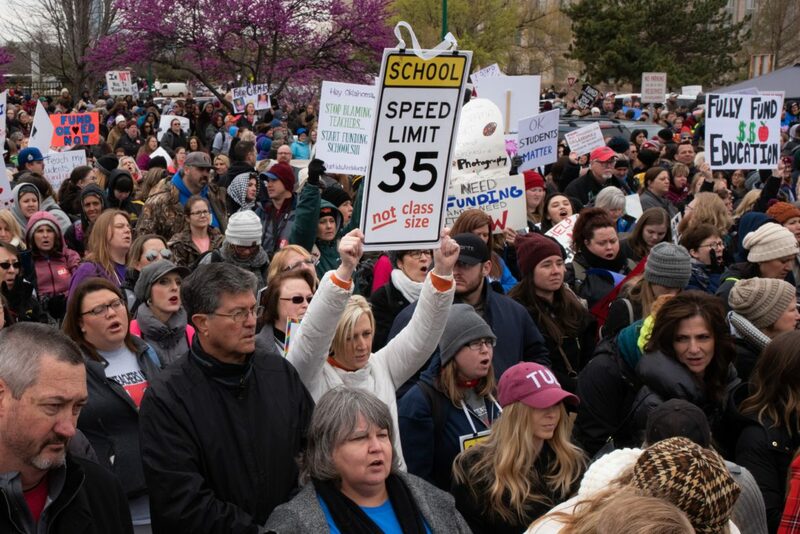 Shawn Hime, executive director of the Oklahoma State School Boards Association, said Stitt’s proposals were promising signs of a continued investment in education but don’t address all of schools’ needs. “We continue to hear from education leaders about the desperate need for a long-term funding education plan to reduce class sizes; restore elective coursework like art, music, honors courses; provide classroom resources; increase training support for teachers, and broaden access to mental health counselors and school-based social workers,” he said.